Vitamin E oil has gained a lot of attention recently for its protective and anti-aging properties. People love the smooth moisturized look that regular use gives to their skin. It can help protect your skin from damage caused by the sun and environmental pollutants. And it’s also useful for the treatment of cold sores, age spots, skin pigmentation, and dermatitis. 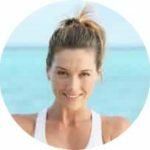 But, in a market with many competing products, there are a few things you need to know to find the best vitamin E oil for face care. We’ve laid out the most important considerations in our buying guide below. We’ve looked at the top products on the market and have reduced the list down to our top 5 favorites that we are happy to recommend to you. You can see all the reviews below the buying guide. The thing I really like is that the benefits of vitamin E oil for skin are scientifically proven. There are countless studies that demonstrate its properties. Which include antioxidant protection, anti-aging, moisturization, and relief from sunburn and dermatitis. This means that you’re on to a sure thing when buying it. However, not all vitamin E oil is the same. The quality of the products available varies. We want you to be able to find the best vitamin E oil for skin care. With most vitamins, there’s no significant difference between the natural form and the synthetic form. But, vitamin E is notable for being very different in this regard. The natural type is clearly superior to its synthetic equivalent. Natural vitamin E is listed on product labels as d-alpha tocopherol, d-alpha tocopheryl succinate, or d-alpha tocopheryl acetate. Synthetic forms are listed with a dl- prefix instead. The most biologically active form of vitamin E is alpha-tocopherol. But, the synthetic form is significantly less potent than natural vitamin E as your body prefers to use the natural version (1). Natural vitamin E accumulates at significantly higher levels in the skin than synthetic vitamin E (2). Synthetic vitamin E is also excreted from the body three times quicker than natural vitamin E (3). So, it won’t give you the same results. It’s also worth knowing that the natural type is made from vegetable oils. Whereas the synthetic version is commonly made from petroleum products. It’s slightly more expensive to buy. But, when looking for the best quality vitamin E oil I recommend choosing the natural version, d-alpha-tocopherol. Because of the weight of evidence of its superior biological activity. But, if you’re on a very tight budget then the synthetic form, with the dl- prefix, will still help your skin. Vitamin E is present in some oils as an ester. Such as tocopheryl acetate and tocopheryl succinate. 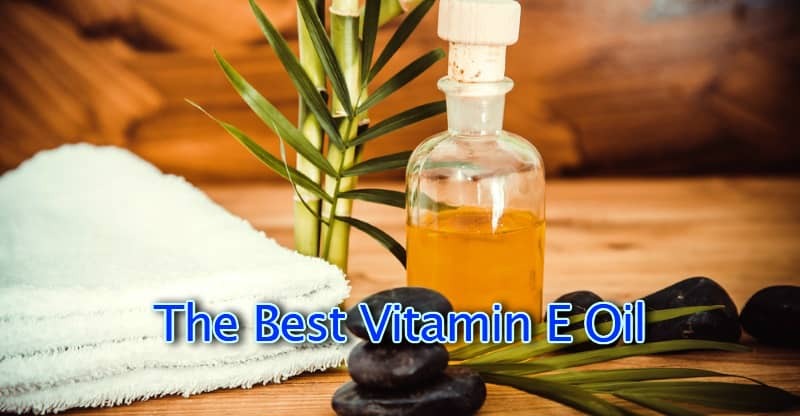 This increases the stability and shelf life of the vitamin E.
However, vitamin E esters need to be converted into normal vitamin E in the skin before they can have an effect. At the moment it’s not firmly established how efficiently they are converted. Some research shows a failure to do so (4, 5). In light of the available evidence, the most reliable results will be obtained by choosing an oil with alpha-tocopherol rather than one of the esters. In commercial products that are available for sale, vitamin E oil is usually mixed with a carrier oil. This is because it’s too thick and sticky on its own to use easily. Some of these also have beneficial effects as well. Check the ingredients list so that you know if what you are getting is mixed or pure. Either is fine, it’s down to your preference. If you buy it pure you may need to mix it with a carrier yourself. You will probably notice that most products advertise an IU number. Because the IU stands for international unit. It’s a measure of vitamin E activity, as opposed to the quantity. The IU was introduced to allow a better comparison between the natural and synthetic forms. But, as science has confirmed the superiority of natural vitamin E, 1 IU of the synthetic form is no longer considered to be the equal of 1 IU of the natural kind. 1 IU of the natural form is greater than two times more biologically active than 1 IU of the synthetic form (6). These products come mixed with carrier oils for easy use. And contain 100% natural ingredients. They all use the natural form of vitamin E, d-alpha-tocopherol. Avocado oil which can moisturize, increase collagen production, and has anti-inflammatory properties. Rice bran oil which hydrates the skin and improves skin texture, elasticity, and pigmentation. Lavender oil to kill harmful bacteria such as P.acnes, the bacteria responsible for acne. Palmarosa oil for its antibacterial, antioxidant, and anti-inflammatory properties. Jojoba oil to moisturize and soothe skin conditions. These ingredients make a great anti-aging and skin rejuvenating oil for daily use and fast results. People love the way it’s absorbed quickly and report that it doesn’t leave them with oily skin. This product is good for all skin types. Including dry, oily, normal, combination, and sensitive skin. This product contains 14000 IU of d-alpha-tocopherol in a 1 oz bottle. Coconut oil can moisturize dry skin and help to treat skin conditions such as dermatitis. Tetrahexyldecyl ascorbate is a derivative of vitamin C that provides antioxidant protection and stimulates collagen production. Regular application will leave your face feeling smooth. With a visible improvement in appearance. This oil contains 10,000 IU of d-alpha-tocopherol in a 1 oz container. Coconut Oil for its moisturizing and antibacterial properties. This is a popular product. Many people are happy with the results it gives. It produces a natural healthy glow on the skin. And it has a reputation for anti-aging prowess. It’s a strong choice for all skin types. This product has 10,000 IU of d-alpha-tocopherol in a 1oz bottle with dropper. Sweet almond oil for its moisturizing and antioxidant properties. This is very nice and easily absorbed. It has a pleasant scent and visible effects. The following products are 100% pure vitamin E oil. They are not mixed with carriers. This makes them ideal for homemade skincare preparations. Pure oil is very thick. You can use it directly on the skin as it is. But, a lot of people prefer to mix it with a carrier of their choice before using it. If there’s an oil that you use that you think would go well with this then getting a pure product like this might be a good option for you. This pure oil from Mother Nature’s Essentials comes in a 1 0z bottle with a dropper lid. It contains 30,000 IU of d-alpha-tocopherol. It’s certified USDA organic and is derived from non-GMO sunflower and safflower oils. Which makes it a light colored oil that doesn’t have any fragrance. People report it being great for healing after surgery and reducing the appearance of scars. It also helps to make the skin soft and improves discoloration. This pure vitamin E oil by Kate Blanc comes in a dark amber glass bottle with a dropper. It can be bought in two sizes: 1 oz and 4 oz. It contains 28,000 IU of d-alpha-tocopherol. People report it improving their complexion when used undiluted, and reducing dark spots. This product comes in a smaller 1/2 oz bottle than the others in our ratings. Which contains 14,000 IU of pure d-alpha-tocopherol. I thought it worth mentioning this product by Jason Natural Cosmetics as it’s recommended by many other sites elsewhere. And if you’re on a tight budget, then it could be an option for you. However, it uses tocopheryl acetate. As you know from our buying guide above, we recommend sticking with d-alpha-tocopherol for the reasons outlined. While it doesn’t top our recommended list, it’s still an option. Jason vitamin E oil is 5,000 IUs. This is less than the other products we recommend. It comes in a 4 fluid ounce bottle. Sunflower seed is rich in linoleic acid. It helps to maintain the skin barrier and decrease the loss of moisture. It also has anti-inflammatory properties. Safflower seed includes fatty acids, including linoleic acid. It can help with dry skin. Rice bran oil to moisturize and improve skin elasticity. Avocado oil and the best sweet almond oil for hydration and powerful antioxidants. It can be unstable if it’s not looked after. So, it’s important to make sure that at the very least it’s kept in a cool place out of the light and with the bottle closed. Some people choose to keep it in the fridge to make it last longer. Unscrew the lid of the bottle and withdraw the dropper containing a small amount. Apply a couple of drops to the area that you wish to use it on. Rub the oil gently into your skin with your fingers. Use it every day. It’s especially good to use after a shower when your pores are open, or after you exfoliate your skin. Some people like to use it on their face before bed, but you will need to allow time for absorption. Essential oils are a popular ingredient to add before use. As mentioned above, this is a product that’s great for skincare. And it’s backed up by a lot of scientific research. Many websites online talk about using it for healing and preventing stretch marks. The truth is that there’s no conclusive scientific evidence to support its effectiveness. And it has been tested. This doesn’t definitively mean that it doesn’t work. And there are anecdotal reports from people who claim that it’s helped them. But it’s something to bear in mind if you are intending on using it for this purpose. As well as being good for using on your face, it’s also excellent for hair care. It improves scalp circulation. Thereby encouraging hair growth and preventing its loss. It also leaves your hair with a nice shine. It’s also great for dry nails and cuticles. Try rubbing some in twice a day to avoid them becoming dry and cracked. This product has many benefits for the skin. Topical use has proven effective for anti-aging by protecting your skin from the damage caused by free radicals after sun exposure. Reducing the appearance of fine lines and wrinkles. It can also be used in healing a range of skin conditions. This is due to its anti-inflammatory properties. And its ability to lighten dark pigmentation in the skin. When choosing a product it’s best to get one that uses all natural ingredients and d-alpha-tocopherol. Our favorite vitamin E oil for face care is Enhance. It has a good blend of organic ingredients that increase its skin moisturizing and anti-aging potential. And contains 15,000 IU.